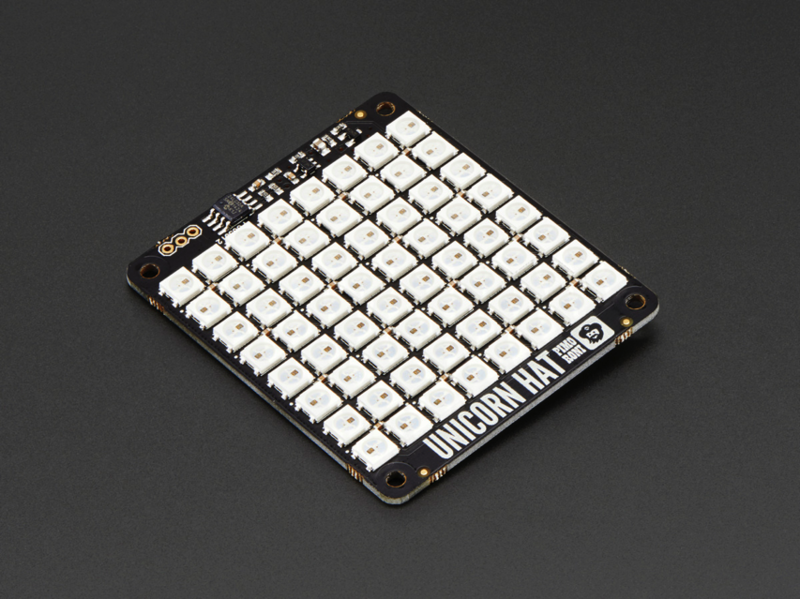 NEW PRODUCT – Pimoroni Unicorn Hat – 8×8 RGB LED Shield for Raspberry Pi A+/B+ « Adafruit Industries – Makers, hackers, artists, designers and engineers! 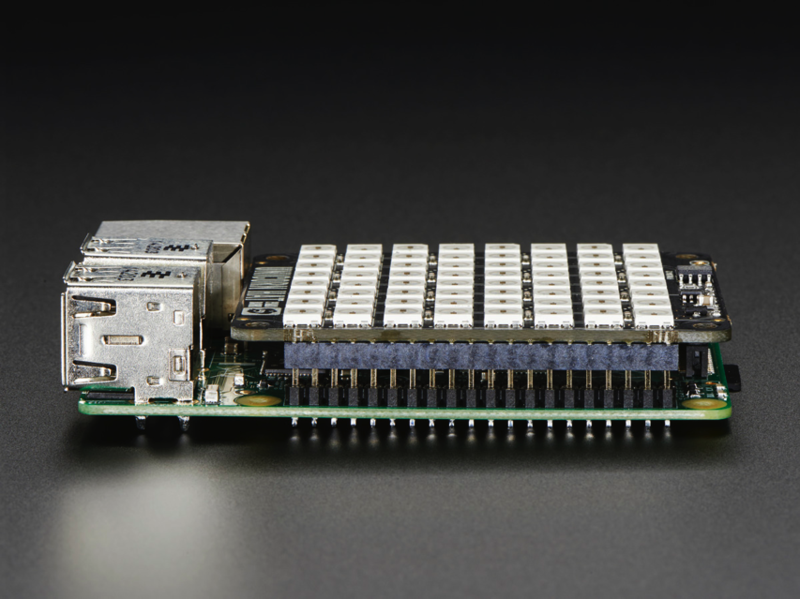 Snap the Pimoroni Unicorn Hat on top of a Raspberry Pi model A+ or a model B+ for a fun 8×8 RGB LED matrix powered directly from the Pi. Unicorn HAT provides a wash of controllable color that is ideal for mood-lighting, 8×8 pixel art, persistence of vision effects, status indications, or just blasting colour into your surroundings.